Edward Hopper (1882 – 1967) was a prominent American realist painter. He was a skilled watercolorist who is now famous for his spare urban and rural scenes. 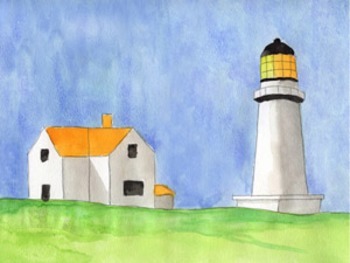 I’ve made a simple drawing and painting tutorial that resembles his Lighthouse Hill painting.